This is an interesting take on a bunk room. The concept is actually great, especially for a guest house. Mom and dad can still keep an eye on the kids who are bunked up in the hallway space. Hopefully those are sliding doors to offer a little more privacy if needed. Here is a look at the front of the house. 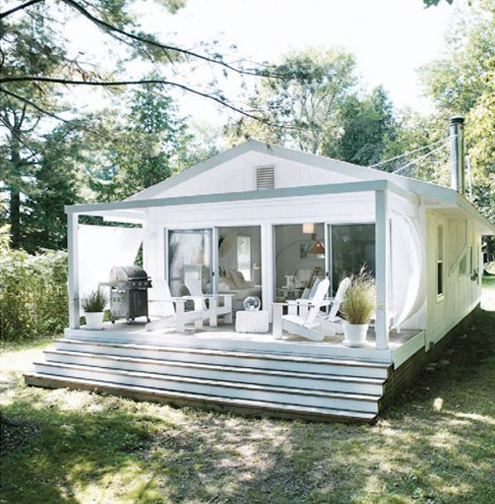 Such a quaint Canadian cottage. For more photos of the home, visit Style Files. 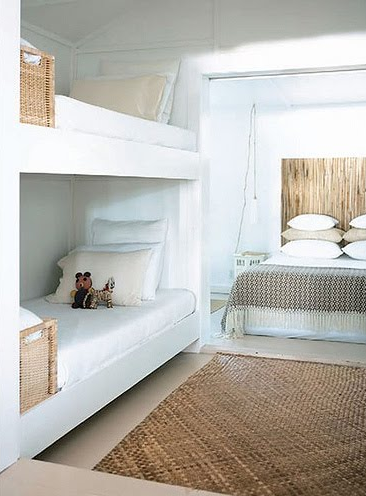 Love the bunks -- what a great idea and use of space.